Known for their playful and carefree nature, Bottlenose Dolphins are among the most social of all dolphin species. It was a real pleasure to see these dolphins in their own habitat, darting about effortlessly, coming close to check me out then dart off again. They seemed to be beckoning to me to come and play, and extremely inquisitive with the camera. 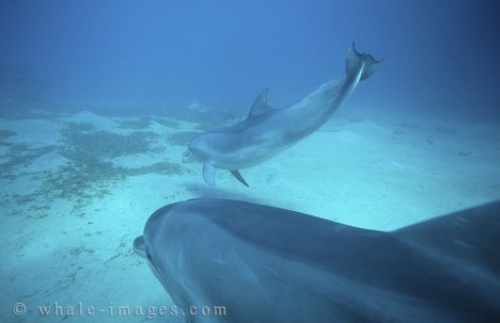 Bottlenose dolphins are most widely used at aquariums and research facilities.